The Runner | Deceitful, Divisive, Dollar-Bound: Politics as Usual in B.C. Deceitful, Divisive, Dollar-Bound: Politics as Usual in B.C. Even if you’re generally apathetic about provincial politics in B.C., there is still a good chance that you heard “stipend”, “turned down”, and “Christy Clark” being thrown around in the news lately. You would not be incorrect to say that those phrases do seem curiously incompatible when used together. Believe it or not, the Premier of British Columbia, Christina Joan Clark, did, in fact, announce that she would turn down a $50,000 top-up from her Liberal Party. It seems that, for Clark, one salary will do just fine. Amid the rising cost of living in a province where close to a quarter of all people earn less than $15 an hour, you would not be alone in having your eyes glaze over upon reading the words fifty-thousand dollars. When most people in the province live paycheque to paycheque, it is difficult to imagine receiving an allowance—or “stipend”— worth more than what the average person earns in an entire year. Let us now turn to the British Columbian occurrence that has been outlawed in most other provinces: the limitless cash-for-access, private fundraisers which act as donation-hauls for Clark’s Liberals. This includes the recent $5000-per-plate dinner at the Mission Hill Winery in Kelowna. Who would (and could) even attend such an event? The premier refused to reveal the answer. If we are left in the dark with respect to which private interest groups fund our political parties, how can transparency ever be maintained in politics? Is our collective confidence in democracy not undermined, as The Province’s Mike Smyth says it is, when our premier prioritizes fundraising over, say, housing affordability, or the quality of jobs being developed in the province? Consider, as well, that the Liberals racked up nearly $13-million in donations last year, much of it coming from corporate and union donations. This just begs the question: how poorly calibrated must our moral intuitions be if we are even tempted to reward Clark for “turning down” $50,000? The premier earns a taxpayer-funded salary of nearly $200,000 a year—and this comes in addition to the nearly $60,000 she receives for travel, and her $1,200 “living allowance.” Who knows how much she truly rakes in? As British Columbia has absolutely no limit on political donations, it is no surprise that the moral corruption of the politics in our province is the subject of writing the world over. The New York Times, for instance, recently named our province the “Wild West” of Canadian political cash, as politics and business interests in B.C. remain mixed in an ethically-problematic stew. 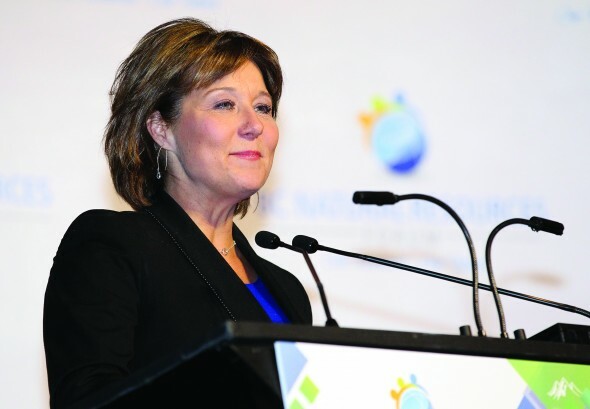 Christy Clark is among our province’s elite. Seeing as how she has greatly benefited, financially and otherwise, from large donors, it is time that we recognized her as such. In light of this, we should not expect the values of integrity or honesty to mean much of anything to her. She is a mere cog in the self-perpetuating political money monster that toys with voters’ emotions and puts on an ingratiating face just as an election approaches. Wielding political influence in B.C. has been intentionally (and in the whole of our nation, nearly uniquely) relegated to only the most well-off citizens. Our ruling political class, in other words, is a cruel and self-sustaining entity fundamentally ignorant of what concerns average people. As long as only a select few actually have direct and meaningful access to twisting Clark’s arm, politics in B.C. shall remain divisive.